I'm not gonna lie, baking has never been my forte. 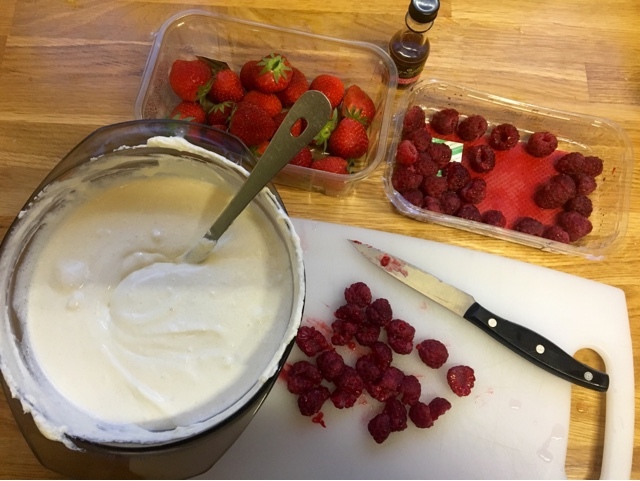 But after 'Cheesecake Mondays' came in to existence at work, (where basically each member of our team takes it in turn to bring in a homemade cheesecake- flavour optional) I knew my time was coming to don my apron and have a go. 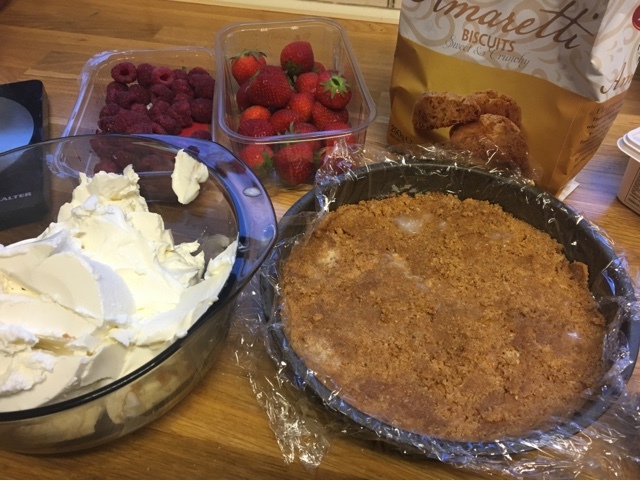 It just happened to be that I was contacted by the lovely people at Doria to create a recipe using some of their authentic Italian ingredients- so I chose the amaretti biscuits with Cheesecake Mondays in mind. The flavours that have already been presented to the official Bake-Off board (aka our digi marketing team) have been raspberry, classic New York (both of which I didn't actually get to try because I was off that day- boo!) and peanut butter. 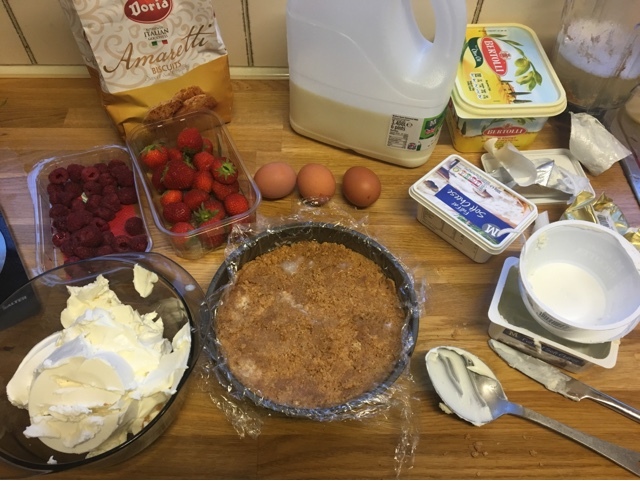 After spending a few hours getting lost on Pinterest in all the heart-attack worthy, decadent desserts, I decided on a mixed berry and vanilla cheesecake with an amaretti biscuit base. Sounds a bit random now that I have just typed that out, but I just wanted to fresh flavours to compliment the chewy, almond-y base. Ignore the eggs and the milk! 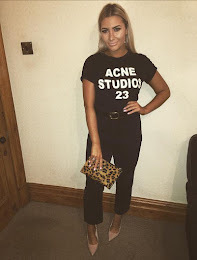 I cannot stress enough just how EASY this recipe is! Yep, I even put it in bold. 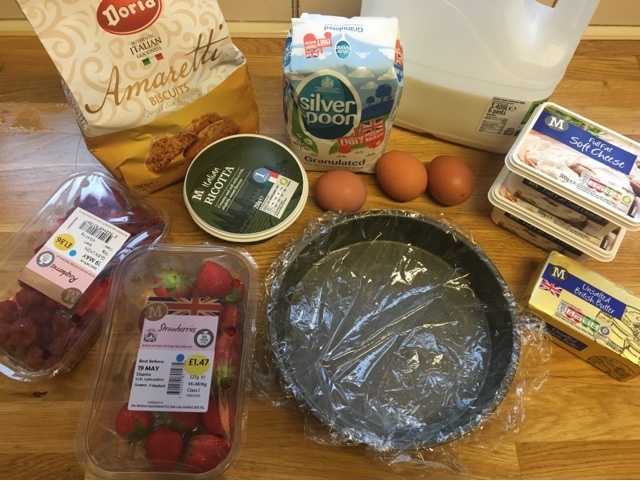 This photo actually has way more ingredients than I needed because I didn't realise I was looking at a recipe that involved baking the cheesecake in the oven! Being the lazy kitchen-phobe that I am, I quickly found another recipe sans baking that involved less ingredients. Winner! I started by putting the amaretti biscuits in a bag and crushing them up. I then added them to my blender along with the butter, which I had melted in the microwave. After whizzing them up until they had blinded, I added them to my cake tin. 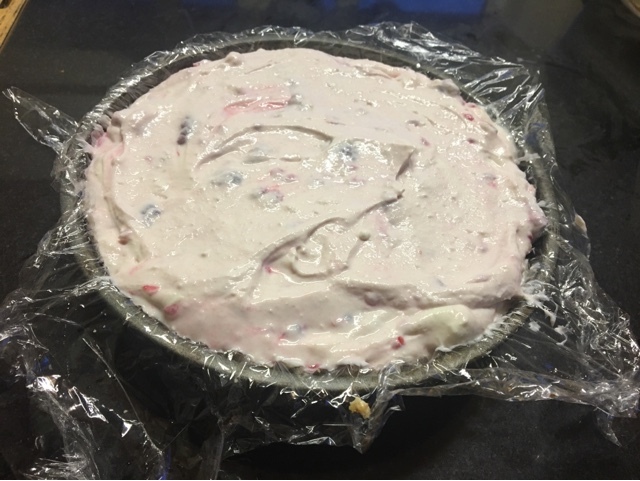 Remember to line your cake tin with cling film before you add the mixture so you can lift it out when it's done! Put this in the fridge to chill. Now to make the filling! Simply mix together the ricotta cheese with the sugar. When this has combined nicely, fold in the cream cheese and the vanilla. I decided to chop my raspberries and add these to the mixture to give it a nice pink colour. 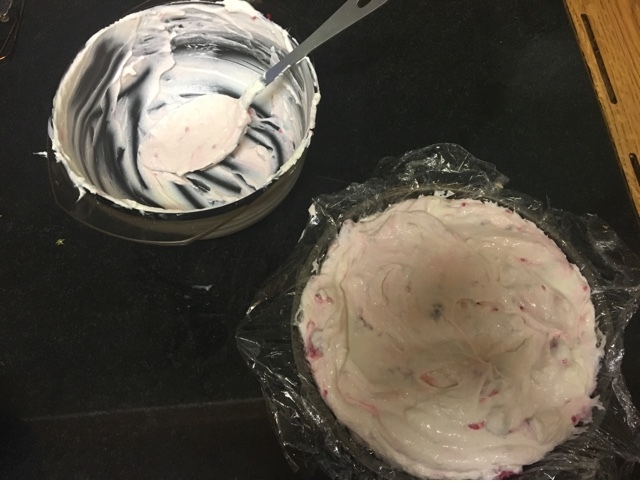 Take your base out of the fridge and carefully spoon your filling over. Try and make the top look a bit neater than mine, if poss. And you're done! See, I told you it was easy! Put in the fridge to chill for at LEAST 12 hours. I only left mine for 7 and it was still a little bit sloppy when I as cutting into it unfortunately. 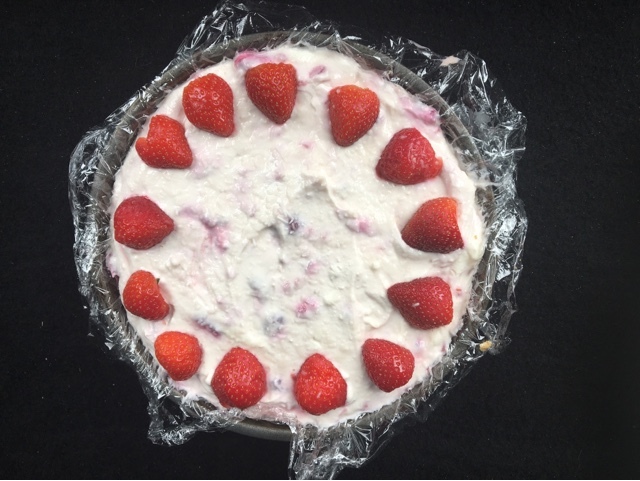 I decorated mine with sliced strawberries and some white sprinkles, but I guess you could do as much or as little as you like! I was met with a reassuring sound of 'mmmmm's' and a multitude of compliments as my team tucked in so I can safely say it was a success! The amaretti biscuit base was definitely an improvement to a standard biscuit base and the flavours worked so well against the creamy vanilla filling.